One of the most prominent problems in society today is the presence and overuse of opioid drugs. While these medications have their place in pain management, there are plenty of other healthy solutions to relieve pain. Since 1999, deaths involving opioids have quadrupled. In 2017 alone, more than 72,000 people died from overdoses involving the drugs. As the abuse of these drugs grows, so does the movement against them; including the movement for non-drug therapy such as chiropractic. As this movement grows, more and more information becomes available from the research done to prevent these overdoses. Chiropractic serves as a great non-invasive, non-drug alternative to a prescription medication. Research indicates that professional chiropractic care can treat lower back pain among other ailments more effectively than prescriptions. 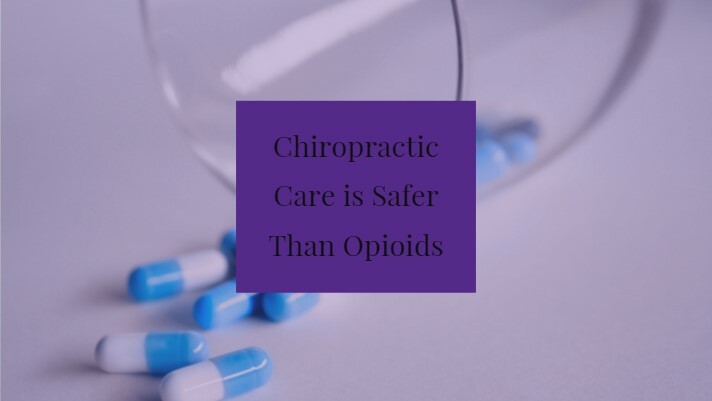 Opioid treatment should only be viewed as a very last resort for those suffering from lower back pain, as the risks typically far outweigh the benefits. Before seeing a doctor and asking for a pain medication prescription, make an appointment with your local chiropractor. You may be unsure about seeing a chiropractor for the first time, but a new experience could be worth the resolution of your pain. Every day, more than 115 people in the United States alone die after overdosing on opioids. This unhealthy statistic alone is a very persuasive reason to not engage in the use of opioids. The risk of addiction or the prescription falling into the wrong hands is high and not worth it. Choosing the natural route first is the safest and most highly recommended option. Contact us today to set up an appointment or consultation.